Nearly two feet of snow in Central Virginia resulted in cancelled services at CRBC on Sunday. Though we watched some livestream services at home over sermonaudio.com it just wasn’t the same as being physically present with the saints. Looking forward to a reunion with the brethren in worship this Sunday, God willing. “Having cast anchor in heaven, a Christian’s heart never sinks” (p. 15). “The child’s sin is sometimes the parent’s sermon” (p. 37). “Better to deserve respect and not have it than to have it and not deserve it” (p. 45). “It is better that God should approve than that men should applaud” (p. 46). “When the devil cannot destroy the church by violence, he endeavors to poison it” (p. 50). “A sanctified heart is better than a silver tongue” (p. 54). “Christ is in the ship of His church: do not fear sinking” (p. 55). “Atheism is the fruit that grows out of the blossom of discontent” (p. 68). “Sickness, says contentment, is God’s furnace to refine His gold, and make it sparkle all the more” (p. 69). “God makes our adversity our university” (p. 74). “The discontented person thinks that everything he does for God is too much, and everything God does for him is too little” (p. 84). “The house of the godly is a little heaven, the house of the wicked a little hell” (p. 102). “If we do not have what we desire, we have more than we deserve” (p. 121). May the Lord grant us a contented spirit. Book Note: Poh Boon Sing's "A Garden Enclosed"
Boon Sing Poh, A Garden Enclosed: A historical study and evaluation of the form of church government practiced by the Particular Baptists in the 17th and 18th centuries (Good News Enterprise, 2013): 330 pp. Poh Boon Sing is a Reformed Baptist Pastor in Kuala Lampur, Malaysia who has studied and written extensively in the area of ecclesiology. 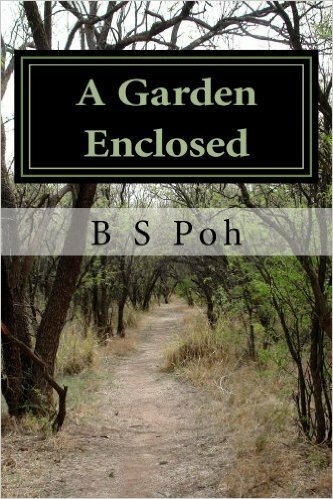 A Garden Enclosed (hereafter AGE) is a work of historical theology tracing the form of church government practiced by the early Particular Baptists, the doctrinal forerunners to today’s Reformed Baptists. The title is taken from Song of Solomon 4:12, 16. This work served as Poh’s 2012 PhD thesis in Church History from North-West University, Potchefstroom, South Africa. In many ways, this work is a continuation and expansion of Poh’s previous studies in ecclesiology and his dialogue with other pastors and scholars on this topic. Poh’s important 1995 book The Keys of the Kingdom presented his Reformed Baptistic “Independency” view of church government, inspired by the ecclesiology of the influential Puritan John Owen. Among other things, Poh argued in that work for a distinction within the one office of elder between the teaching elder and the ruling elder, for a distinct and singular leading role for the minister or pastor (teaching elder) among the elders, and for elder rule with congregational consent (as opposed to democratic congregationalism) in the church. Poh’s views in Keys of the Kingdom met with approval in some corners. The book is used, for example, in theological education courses by London’s Metropolitan Tabernacle (Spurgeon’s former church, where Peter Masters is now pastor) and distributed through their bookshop. It also met with critique and criticism from some corners. Sam Waldron and others argued against Poh’s distinction in the office of elder in the booklet In Defense of Parity (1997). Poh, in turn, responded to Waldron, et al in his booklet Against Parity (2006). James Renihan challenged Poh’s assertion that this view of church government had been widespread among the early Particular Baptists in England (see Edification and Beauty, pp. 63-87). Thus, AGE might be considered a continuation and expansion of the issues addressed in The Keys of the Kingdom, with particular attention to Particular Baptist history and a defense of his views, especially against the historical objections raised by Renihan. AGE has a helpful abstract and preface which introduce the work. This is followed by seven chapters: (1) Introduction; (2) Autonomy; (3) The Headship of Christ; (4) Rule by Elders; (5) The Byways; (6) The Communion of Churches; and (7) Conclusion (including a discussion of unsettled issues and recommendations for moving forward). Poh’s central thesis is that the likely majority practice of the earliest Particular Baptists (c. 1650-1750), under the influence of John Owen and others, was that of the “Independency” view of church government, including the existence and recognition of both teaching and ruling elders, a leading role for a singular pastor among the other elders, and elder rule with congregational consent. Such a view is not contradicted by the Second London Baptist Confession (1689) but underlies it. Later Particular Baptists, however, beginning especially with Benjamin Keach in the late seventeenth century, through to John Gill in the eighteenth century, altered this form of church government, in favor of the single pastor/multiple deacons model of democratic congregationalism. Poh furthermore urges that the early Independent model of Particular Baptist ecclesiology be reclaimed in the modern context. He also appeals to contemporary Reformed Baptists to reclaim the practice of “communion” among like-minded churches. Note: Devotion taken from last Sunday morning’s sermon on Hebrews 6:11-15. True Christians are not to be the equivalent of spiritual slackers or spiritual lazy bones. The ethicists of the middle ages identified sloth or laziness as one of the seven deadly sins. Warnings against slothfulness are especially abundant in the Proverbs (cf. Proverbs 12:24; 15:19; 19:24; 21:25; 22:13; 26:14). These Proverbs are about the practical, earthly dangers of laziness. It is, in part, attention to passages like these by Bible-believing Christians that resulted in what is called the Protestant work ethic. It is a vice to be slothful, but it is a virtue to be diligent, alert, active, and hard-working. Here in Hebrews 6:12 that sort of practical advice is turned to spiritual matters: “that ye be not slothful.” Some of the problems with the Hebrews to whom this letter was addressed, professed believers who were shrinking back from Christ, might well have been caused by fear brought about by persecution, by discouragement, and by doubt. Some of it, however, might have been brought about by their own sheer laziness and lack of diligence. The spiritually lazy person might well understand in theory the importance of corporate worship, of daily Bible reading, of constant prayer, of spiritual meditation, of secret fasting, of tangible expressions of love for the brethren and love of neighbor. He might even imagine in his mind that he has been diligent about such things, when he has not. I have sometimes exhorted persons who have forsaken the assemblies of God’s people without providential cause who have protested, “But I am there every Sunday!” The spiritually slothful often lack critical self-awareness. What does your spiritual house look like? Is it cultivated, well maintained, handsome, sound, and circumspect? Or, is it broken down, overgrown, dilapidated, suffering from lack of attention? These are the spiritual workouts which keep us lean and fit for running the race of the Christian life. Consider the exhortations of the apostle Paul and his description of the Christian life as like running a race (cf. Phil 3:13-14; 1 Cor 9:24-27). The Christian, then, is like an elite athlete who must always be training and submitting himself to the personal and corporate disciplines so that he might, by God’s grace, cultivate the stamina and the endurance needed to run and to finish the race that is set before him. Friends, let us avoid spiritual slothfulness and be diligent to the end. 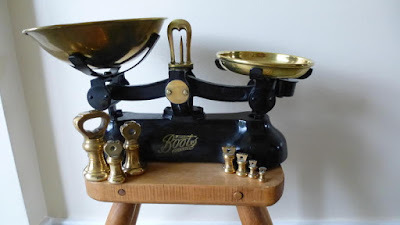 Thomas Boston on the "balance of the sanctuary"
Here is a balance of the sanctuary, by which we may understand the lightness of what is falsely thought weighty; and the weight of some things, by many reckoned to be very light. (c) Weigh the most difficult and uneasy duties of religion here, and you will no more reckon the yoke of Christ insupportable. Repentance and bitter mourning for sin, on earth, are very light in comparison of eternal weeping, wailing, and gnashing of teeth in hell! To wrestle with God in prayer, weeping and making supplication for the blessing in time, is far easier than to lie under the curse through all eternity! Mortification of the most beloved lust is a light thing in comparison with the second death in hell! 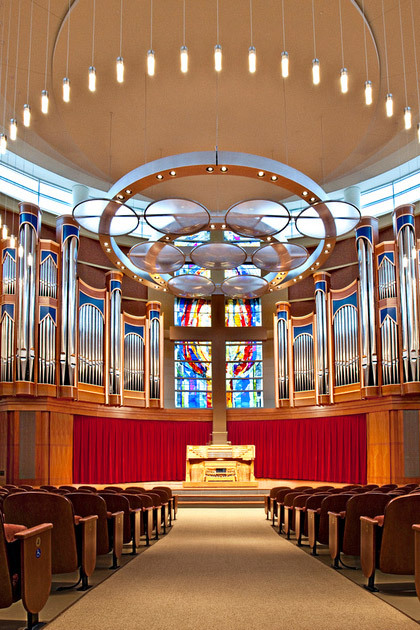 The 2016 Theology Conference at Houston Baptist University in Houston, Texas will be held on February 25-27, 2016. The theme is Ad Fontes, Ad Futura: Erasmus' Bible and the Impact of Scripture. The conference is co-sponsored by the Dunham Bible Museum. The conference theme is in recognition of the 500th anniversary of the publication of Erasmus' Novum Testamentum, which provided the first print edition of the Greek New Testament (1516). This edition became the mother of the Textus Receptus tradition. Keynote speakers are Timothy George, Daniel B. Wallace, Craig A. Evans, and Herman Selderhuis. DV, I will also be presenting a paper at the conference on "John Calvin and Text Criticism." I look forward to attending the conference and will plan to post some reports on the blog. Note: This devotion taken from last Sunday morning’s sermon at CRBC on Hebrews 6:7-10. Hebrews 6:7 For the earth which drinketh in the rain that cometh oft upon it, and bringeth forth herbs meet for them by whom it is dressed, receiveth blessing from God: 8 But that which beareth thorns and briers is rejected, and is nigh unto cursing; whose end is to be burned. 9 But, beloved, we are persuaded better things of you, and things that accompany salvation, though we thus speak. In Hebrews 6:7-8, the inspired author is challenging his hearers (and through them, us) to self-examination: What type of ground are we? 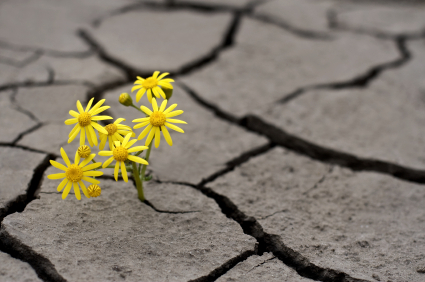 Are we the cultivated and blessed ground (v. 7) or are we the barren and thorn infested and rejected ground whose end is burning (v. 8)? He brings this very dire message home to the first recipients, however, in a very hopeful and, we might even say, an unexpectedly encouraging manner in v. 9. He has issued a dire warning (6:4-8), but he has done so out of a heart of brotherly love and concern. Rather than thinking the worst of these Hebrews to whom he writes, he instead assumes the best. He assumes that they are genuine Christians no matter how misguided they might have been. We see this in the title he gives to those he addresses in v. 9: “But, beloved.” They are “beloved.” Not only are they beloved of this inspired servant of God, the author of Hebrews, but, most importantly, they are beloved of God. In Colossians 3:12 Paul describes believers as “the elect of God, holy and beloved.” In 2 Thessalonians 2:13 he describes the believers as “brethren, beloved of the Lord.” They are beloved of God, because, as Paul said in Ephesians 1:6, they have been “made accepted in the beloved,” the Lord Jesus Christ. The Father loves the Son, and when we are in the Son, we too become the objects of that Fatherly love. What does this give you but relief, encouragement, assurance? You are weak but not dead. You are still beloved of God. Note: Devotion adapted from last Sunday morning’s sermon on Hebrew 6:1-6. This is one of the most controversial passages in the book of Hebrews and indeed within the New Testament and the entire Bible. The Puritan John Owen begins his treatment of these verses: “That this passage in our apostle’s discourse hath been looked upon as accompanied with great difficulties is known to all; and many have the differences been about its interpretation” (Hebrews, Vol. 5, p. 68). 1. It refers to those who were once true Christians, but who committed apostasy. This view is held by consistent Arminians. We must reject this view, however, because it contradicts the whole counsel of God in Scripture which affirms the perseverance (preservation) of the saints (cf. John 10:27-29; Romans 8:33-39). 3. The passage presents a “hypothetical impossibility,” which serves as a warning to Christian readers. It takes seriously the description of these persons as Christians (view 1) but also that true Christians could not fall away (view 2). Thus, the inspired author (perhaps Paul) here presents a hypothetical impossibility that is meant to serve as a dire and terrifying warning to true believers. Maybe the best analogy is to that of a loving parent who sees her little child about to run into a busy street, and she calls out at the top of her lungs, “If you take one more step toward that road I’m going tear you from limb to limb!” Is she really going to rip off his arms and legs? No. But she is registering the seriousness of the consequences in dire hypothetical terms in order effectively to warn him and thus to save his life. This is what God the Father is doing in Hebrews 6:4-6. Believer, if you fell from grace you would forfeit forever your salvation and you would bring incalculable pain to your loving and gracious Savior. And it is this gracious warning that is part of the very means that God sovereignly uses to preserve his true saints. The proper response to this warning is doxological: Praise be to the triune God who loves us enough to warn us, through tears, so as to keep us safe in Christ. Note: Last Sunday (1.3.16) in our first Lord's Day of the month adult Bible study, we discussed the recent, much-discussed and controversial article from John Piper on guns and self-defense. I recorded the notes (below) from the discussion and posted them to sermonaudio.com (Listen here). Piper (b. 1946) is the former pastor of Bethlehem Baptist Church (serving from 1980 to 2013), the Chancellor of Bethlehem College and Seminary, and the founder of Desiring God ministries, all based in Minneapolis, Minnesota. Piper was a leader in revival of interest in “New Calvinism” (Calvinistic soteriology) known for his passionate preaching style and for his many books, including Desiring God: Meditations of a Christian Hedonist (1986). In his later years Piper has shown a tendency to veer into controversial and unsafe territory. One of his weakness, doctrinally speaking, is that he is not confessionally Reformed. Another is his tendency to lack discernment in his associations (e.g., He has invited men like Rick Warren and Mark Driscoll to speak at his influential Shepherd’s Conferences for pastors.). He is also a continuationist, and he rejects the validity of the moral law (i.e., his views seem more in line with New Covenant theology rather than classical covenant theology). There has been much political discussion in the country over the issue of gun rights and gun control. After the Islamic terrorist shooting in San Bernadino, Liberty University President Jerry Falwell, Jr. urged Liberty students to consider getting lawful permits to carry guns to protect themselves on campus if a shooting should occur. Piper then wrote his article on December 22, “Should Christians Be Encouraged to Arm Themselves?” which has been much shared on social media and probably more vilified than defended. Note: This is not the first time that Piper has stirred controversy on this issue. 1. Paul called on Christians not to avenge themselves but to leave this is the civil government. He cites Paul’s emphasis on the ethic of love (Rom 12:17-21) and submission to civil authority (Rom 13:1-4). Response: Piper wrongly judges the motives of Falwell and other Christians who choose lawfully to own guns. Yes, it would be wrong to form vigilante gangs or to take justice into one’s own hands as a citizen to hunt down criminals. But there is a difference between this and owning and using a gun according to the lawful rules of the land. 2. Peter teaches that Christians will suffer mistreatment. Piper cites a number of passages on suffering from 1 Peter (e.g., 4:16). Response: Piper misapplies passages having to do with Christian suffering due to state or religious persecution and issues related to lawful self-defense. 3. Jesus taught that Christians would be opposed but did not urge Christians to arm themselves. Piper appeals to the teaching of Jesus about how Christians should deal with persecution (cf. Matt 10:16-22). Response: Piper again misapplies passages having to do with Christians suffering state or synagogue sponsored persecution to issues related to lawful self-defense. Note: Surprisingly, for a German trained NT PhD and veteran pastor, Piper shows weakness in hermeneutics of these passages. 4. Jesus set the stage for Christian living by refusing to advance the Christian cause with the sword. Piper cites John 18:36 and Matthew 26:52 when Jesus disarmed his disciples before his arrest. Response: Piper against falsely judges the motives of his opponents and wrongly applies Biblical texts. Yes, it would be wrong to attempt to convert persons at the end of a gun. Yes, Jesus told his disciples not to resist his arrest, but this had more to do about his passive obedience to God’s design for the cross than it did with setting up a universal practice of pacifism (a concept which Piper apparently embraces). 5. Jesus taught that we should love our enemies and not return evil for evil. Piper here turns to the love of enemy and non-retaliation passages in the Sermon on the Mount (cf. Matt 5:38-39, 44-45, etc.). Response: The right interpretation of the Sermon on the Mount has long been an issue in Christian theology. There are those who are absolutists (those in the so-called “Peace church”). Others see this as the bedrock for personal Christian ethics which must be interpreted in light of other passages. 6. The early church in Acts suffered without armed resistance. Piper cites various passages in Acts to this end. Response: Again, Piper misapplies passages about persecution to the issue of lawful bearing of arms. 7. 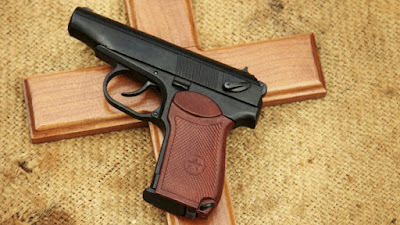 When Jesus told the disciples to buy a sword (Luke 22:36) he was not arming them. Response: I agree that the usage here is likely metaphorical (cf. Matt 10:34), though some might argue that Jesus was urging his disciples to be prepared. In the end, the context indicates that Jesus was predicting division and persecution his disciples would experience as his disciples. Again, this passage does not really apply to the issue of lawful gun ownership. Piper seems to argue that self-defense is ambiguous in the NT. He cannot say he would defend his wife or daughter if attacked. He even suggests it might be wrong to call the police if one’s heart is not right. 1 Timothy 5:8 But if any provide not [verb: pronoeo: to take thought for or to care for] for his own, and specially for those of his own house, he hath denied the faith, and is worse than an infidel. This is why I am not a pacifist. Pacifism in this poor world in which we live –this lost world—means that we desert the people who need our greatest help. Let me illustrate: I am walking down the street and I come upon a big, burly man beating a tiny tot to death—beating this little girl—beating her—beating her. I plead with him to stop. Suppose he refuses? What does love mean now? Love means that I stop him in any way I can, including hitting him. To me this is not only necessary for humanitarian reasons: it is loyalty to Christ’s commands concerning Christian love in a fallen world. What about that little girl? If I desert her to the bully, I have deserted the true meaning of Christian love—responsibility for my neighbor. She, as well as he, is my neighbor. 9. Christian hope is not in armed defense. Finally, Piper appeals to passages about Christian identity in the world. Response: This is another misapplication. What does this have to do with this issue? 1. Piper embraces a narrow pacifistic interpretation of the Sermon on the Mount. 2. Piper misapplies numerous passages. 3. Christians should submit to the civil authority. 4. Christians have a right to lawful self-defense. 5. Ownership of guns is a matter of liberty of individual Christian conscience. 6. Pastors and Christians leaders should not seek to politicize such issues. 7. Churches might want to set prudential, reasonable, and mutually agreed upon policies for dealing with guns. Marcion, the first "restorationist" text critic? 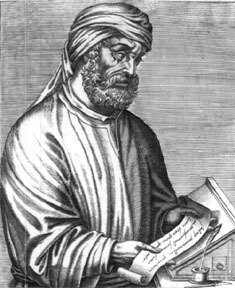 Image: Woodcut depicting Tertullian, from whose work Adversus Marcionem, we learn much about the heresiarch Marcion. Marcion (c. second century) was an early Christian heretic, perhaps best known for his rejection of the Old Testament and his “mutilation” of the NT [apparently reducing the NT to a truncated version of both Luke’s Gospel and Paul’s letters]. Most agree that the orthodox reaction to Marcion spurred the formation and acknowledgment of the Christian canon. What is too little recognized, however, is that Marcion’s editorial activity did not arise from caprice, nor from an overbearing ideology, but from his critical, scholastic judgment, however idiosyncratic that might have been. He had a theory of the history of the texts, and not unlike modern critics he suspected that the texts had been contaminated by glosses, interpolations, and redactions that obscured their original sense. His revisions aimed at nothing less than the critical reconstruction of a pure text (p. 126). There are, indeed, some interesting parallels between Marcion and modern textual reconstructionists. Could we call Marcion the first "restorationist" text critic? Time for my review of reading highlights from the past year. I was recently talking to one of my children about having a "reading plan." Pastors are usually generalists. We try to read broadly to help in our preaching, teaching, administration, and ministry. Looking back on this list reminds me of what I read last year and what I want to pursue next year. 1. Geoffrey Khan, A Short Introduction to the Tiberian Masoretic Bible and its Reading Tradition, Second Edition (Gorgias Press, 2013): 141 pp. This is one of those brief books that is densely packed with great information. Khan is Regius Professor of Hebrew at Cambridge University. He offers an enlightening and appreciative introduction to the Masoretic text of the Hebrew Bible and the Masoretic tradition. The thing that struck me most was his emphasis on the antiquity of the Hebrew vowel points, tracing the linguistic roots of the Masoretic vocalization to the second temple era. 2. Poh Boon Sing, Fragments from Kantung: 325 days in police custody for the Christian faith (Good News Enterprise, 1990): 262 pp. Pastor Poh Boon Sing is an ethnically Chinese Reformed Baptist Pastor and pioneer church planter in Kuala Lampur, Malaysia who spent nearly a year in prison under charges of evangelizing ethnic Malay Muslims. I read this gripping memoir last summer and then got to meet this godly author, his wife Goody, and two of his four sons (little boys when their father was imprisoned but mature Christian men now--one a physician and the other a chemical engineer) in person on a trip to Malaysia in September. Inspiring and humbling. 3. Jack B. Rogers and Donald K. McKim, The Authority and Interpretation of the Bible: An Historical Approach (Harper & Row, 1979): 484 pp. This book is the source for the so-called Rogers/McKim thesis that became (rightly) a center of controversy in the heated debates of the 1980s over the doctrine of inerrancy. I also read John B. Woodbridge's Biblical Authority: A Critique of the Rogers/McKim Proposal (Zondervan, 1982), which offers a devastating critique of this book. Though I think Rogers and McKim widely misunderstand and misrepresent the traditional high view of Scripture, they are more on target in their description of B. B. Warfield's shift from the historic view of infallibility to the "inerrancy" of the original autographs in deference to the perceived gains of modern text criticism. 4.David Daniell, William Tyndale: A Biography (Yale University Press, 1994): 429 pp. I finally got the chance to read this rightly celebrated biography of Tyndale. This book puts one in awe of Tyndale's achievement and his continuing influence on the language of English Bible translations and on the English language, in general. 5. Robert A. Muller, Post-Reformation Reformed Dogmatics, Vol. 2, Holy Scripture: The Cognitive Foundation of Theology (Baker Books, 1993): 543 pp. I have dipped into this book here and there over the last few years, but this year I sat down and gave it a close cover-to-cover reading. This is one of those kinds of books where you want to underline nearly every paragraph. Muller provides a definitive overview of Bibliology in the early orthodox (1565-1640); high orthodox (1640-1700); and late orthodox (1700-1790) eras. It holds many valuable insights for understanding how the framers of the Reformed confessions understood Scripture. 6. David Trobisch, Paul's Letter Collection (Augsburg/Fortress, 1994; Quiet Waters, 2001): 108 pp. Though I completely disagree with Trobisch's final reconstruction of the Pauline corpus, this brief book is rich in information on how the Pauline letter collection developed in early Christianity, as well as how the NT canon itself began to form and be acknowledged. 7. Wendell Berry, New Collected Poems (Counterpoint, 2012): 391 pp. Berry is the celebrated "contrarian" Kentucky farmer and writer [though I recall Joel Salatin's comment that while he is a farmer who writes on the side, Berry is a writer who farms on the side]. Though I often cringed at Berry's left of center politics and theology, I also resonated with his themes of simplicity, faithfulness, and questioning of technological "improvements." For a taste of Berry, watch his reading of "The Contrariness of the Mad Farmer." 8. Harry Y. Gamble, Books and Readers in the Early Church: A History of Early Christian Texts (Yale University Press, 1995): 337 pp. This excellent, scholarly work provides a seemingly exhaustive and detailed discussion of how books were made, published, transmitted and collected by early Christians. 9. Frank Schaeffer, Crazy for God (Da Capo Press, 2007): 417 pp. Schaeffer's memoir of growing up with his "Christian famous" parents Francis and Edith Schaeffer at the Christian "commune" of sorts, L'Abri Fellowship in Switzerland, in the 60s-80s and his differentiation from them has been justifiably maligned as petty and unkind to his parents. Still, it serves as a reminder that spiritual leaders are merely human and a warning about the weaknesses of evangelicalism and how family can suffer under the strains of ministry. 10. Ephraim Radner and George Sumner, Eds., The Rule of Faith: Scripture, Canon, and Creed in a Critical Age (Morehouse Publishing, 1998): 159 pp. I was glad to run across this intriguing collection of essays that came from a conference of more doctrinally conservative Anglicans trying to hold the line against the inroads of liberalism in their denomination. Three of the essays are by Brevard Childs and reflect his canonical criticism. These essays made me think about the relationship between Scripture and orthodoxy, as well as ecclesiology and catholicity. Text and Translation: Robert F. Hull, Jr., The Story of the New Testament Text: Movers, Materials, Motives, Methods, and Models (SBL, 2010): 229 pp; Harry Sturz, The Byzantine Text-Type and New Testament Textual Criticism (Thomas Nelson, 1984): 305 pp. ; Timothy Michael Law, When God Spoke Greek: The Septuagint and the Making of he Christian Bible (Oxford, 2013): 216 pp. ; Neil R. Lightfoot, How We Got the Bible, Third Ed. (MJF Books, 2003): 224 pp. ; Stanley E. Porter, Constantine Tischendorf: The Life and Works of a 19th Century Bible Hunter (Bloomsbury, 2015): 190 pp; Stanley E. Porter, How We Got the New Testament: Text, Transmission, Translation (Baker Academic, 2013): 222 pp. John Owen: "Of the Integrity and Purity of the Hebrew and Greek Texts of the Scripture" (Works, Vol. 16): pp. 345-421; "A Defense of Sacred Scripture Against Modern Fanaticism" Trans. by Stephen P. Westcott in Biblical Theology (Soli Deo Gloria, 1994): pp. 769-854. Memoirs and Biography: Stanley Hauerwas, Hannah's Child: A Theologian's Memoir (Eerdmans, 2010): 288 pp. ; Julian Barnes, Levels of Life (Alfred A. Knopf, 2013): 128 pp. ; Jack Rogers, Confessions of a Conservative Evangelical (Geneva Press, 2001): 144 pp. ; S. C. Gwynne, Rebel Yell: The Violence, Passion, and Redemption of Stonewall Jackson (Scribner, 2014): 672 pp. ; Mez McConnell (Ed. Irene Howat), Is Anybody Out There? A Journey from Despair to Hope (Christian Focus, 2006, 2011): 136 pp. Ministry and Devotional: Elisabeth Elliot, The Liberty of Obedience (Vine Books, 1968): 94 pp. ; Charles March, The Challenge of Islam (Scripture Union, 1980): 173 pp. ; Charles Marsh, Share Your Faith With a Muslim (Moody Press, 1975): 95 pp. 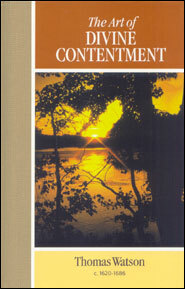 ; Thomas Watson, The Art of Divine Contentment (1653; Soli Deo Gloria, 2001): 133 pp. Jesus, Paul, and Biblical Study: Ronald Youngblood, The Heart of the Old Testament: A Survey of Key Theological Themes, Second Ed. (Baker Academic, 1971, 1998): 122 pp. ; Ernest Renan, The Life of Jesus (1863; Prometheus Books, 1991): 227 pp. ; Dale Ralph Davis, 2 Samuel: Out of Every Adversity (Christian Focus, 1999): 287 pp. ; Stephen J. Nichols, Jesus: Made in America: A Cultural History from the Puritans to the Passion of the Christ (IVP Academic, 2008): 237 pp. ; Anthony C. Thiselton, The Living Paul: An Introduction to the Apostle's Life and Thought (IVP Academic, 2009): 190 pp. Philosophy and Classics: Bruce S. Thornton, A Student's Guide to Classics (ISI Books, 2003): 92 pp. ; Frank Thilly, A History of Philosophy (Henry Holt, 1914, 1929): 612 pp. ; Victor Davis Hanson, John Heath, and Bruce S. Thornton, Bonfire of the Humanities: Rescuing the Classics in an Impoverished Age (ISI Books, 2001): 373 pp. ; T. Z. Lavine, From Socrates to Sartre: The Philosophic Quest (Bantam, 1984): 426 pp. Fiction and Literary Essays: Kazuo Ishiguro, Never Let Me Go (Vintage, 2005): 288 pp. ; Ruth Greiner Rausen, Ed., Poems of Alfred Lord Tennyson (Crowell Co., 1964): 145 pp. ; Russell Kirk, Old House of Fear (Eerdmans, 1961, 2007): 194 pp. ; Tom Wolfe, The Painted Word (Bantam, 1975, 1976): 120 pp. ; Mark Haddon, The Curious Incident of the Dog in the Night (Vintage, 2003-2004): 226 pp. ; Kurt Vonnegut, A Man Without a Country (Seven Stories Press, 2005): 146 pp. ; Philip Pullman, The Good Man Jesus and the Scoundrel Christ (Canongate, 2010, 2011): 265 pp. The Vision (1.1.16): Watson: "Remember, you are to be here but a day." The next argument to contentment is the shortness of life. It is but a vapor (James 4:14). Life is a wheel ever running. The poets painted time with wings to show the volubility and swiftness of it. Job compares it to a swift runner (Job 9:25), and to a day, not a year. It is indeed like a day. Infancy is, as it were, the daybreak; youth is the sunrise; sickness is the evening; then comes the night of death. How quickly is this day of life spent! Oftentimes this sun goes down at noon; life ends before the evening of old age comes. Nay, sometimes the sun of life sets presently after sunrise. Quickly after the dawning of infancy, the night of death approaches. Oh, how short is the life of man! The consideration of the brevity of life may spur the heart to contentment. Remember, you are to be here but a day. You have but a short way to go; and what need is there for long provision for a short way? If a traveler has but enough to bring him to the journey’s end, he desires not more. We have but a day to live, and perhaps we may be in the twelfth hour of the day. Why, if God gives us but enough to bear our charges until night, it is sufficient; let us be content. If a man had the lease of a house or a farm but for two or three days, and should fall to building and planting, would he not be judged as very indiscreet? So, when we have but a short time here, and death calls us presently off the stage, is it not extreme folly to thirst immoderately after the world and pull down our souls to build up an estate? Therefore, as Esau said once in a profane sense concerning his birthright, “Lo, I am at the point of dying, and what profit shall this birthright do to me?” So, let a Christian say, in a religious sense, “Lo, I am even at the point of death; my grave is going to be made, and what good will the world do me? If I have but enough until sunset, I am content” (pp. 88-89). May the Lord grant us contentment as we measure our days in this new year and give our lives to his service.